New Unmetered Mitigation feature hopes to give SMBs and individual users alike the tools needed to fight off such an attack. In an effort to protect all of its users from the effects of distributed denial of service (DDoS) attacks, Cloudfare has announced that all of its customers will receive a new protective tool - for free. The Unmetered Mitigation feature, which will be available for both paying and non-paying users will receive the new feature intended to protect against all DDoS attacks regardless of their scale. Previously Cloudflare and other security firms did not offer protection from these kinds of attacks to their free customers but now the company has decided to equip all of its users against them. Company CEO Matthew Prince believes that is time for security firms to change the way they treat customers affected by an attack. In the past, Cloudflare and other companies would often raise their rates after a customer had suffered an attack but with the recent surge in cyber attacks, it is time for the industry as a whole to take on a new approach. Large corporations generally have security solutions in place that can deal with large scale DDoS attacks but SMBs on the other hand are at greater risk of being attacked because they do not possess the same resources. 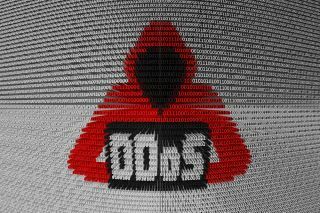 Cloudflare's goal is to make DDoS attacks a thing of the past by providing even its free users with the necessary tools to fight off an attack.